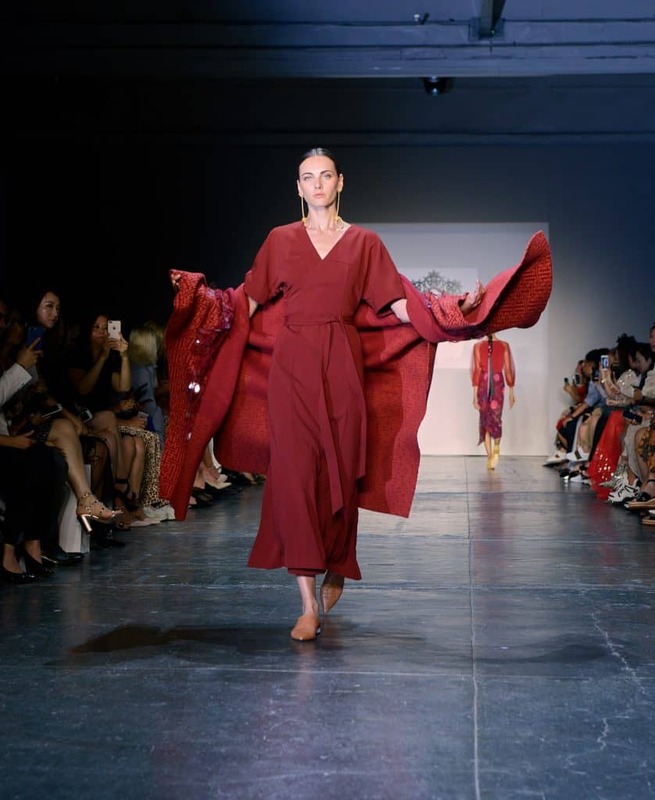 Hailing from China and now taking up residence in cities across the globe, designer Lanyu brings that her signature style back to NYFW. 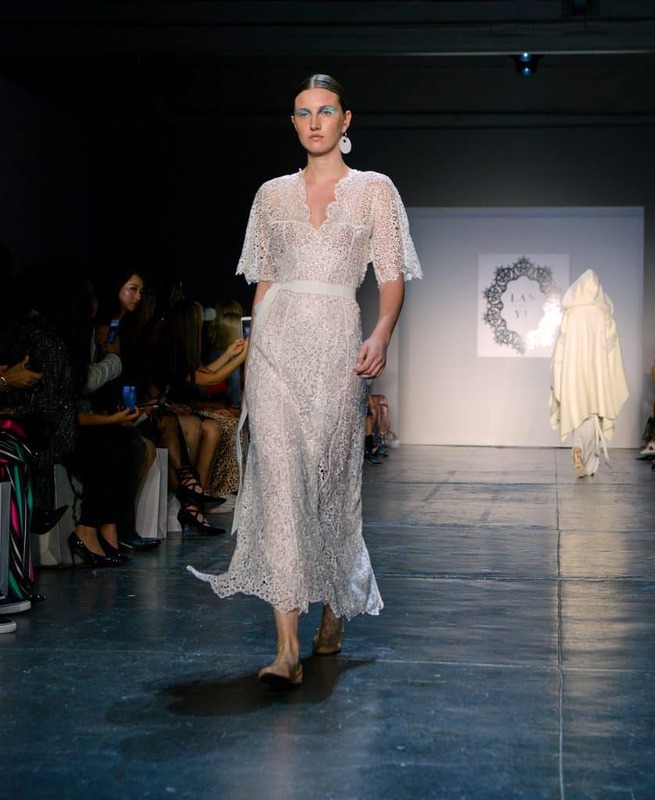 Known for her photorealistic intricate design work Lanyu has been a season regular at New York Fashion Week. 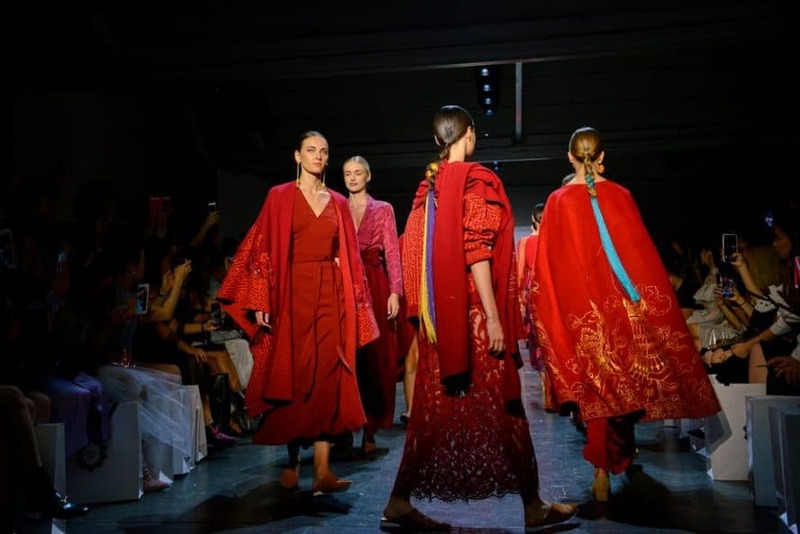 Through her use of traditional Chinese embroidery techniques Lanyu gained recognition across the globe winning multiple awards as well as being named one of Forbes China’s 30 under 30. 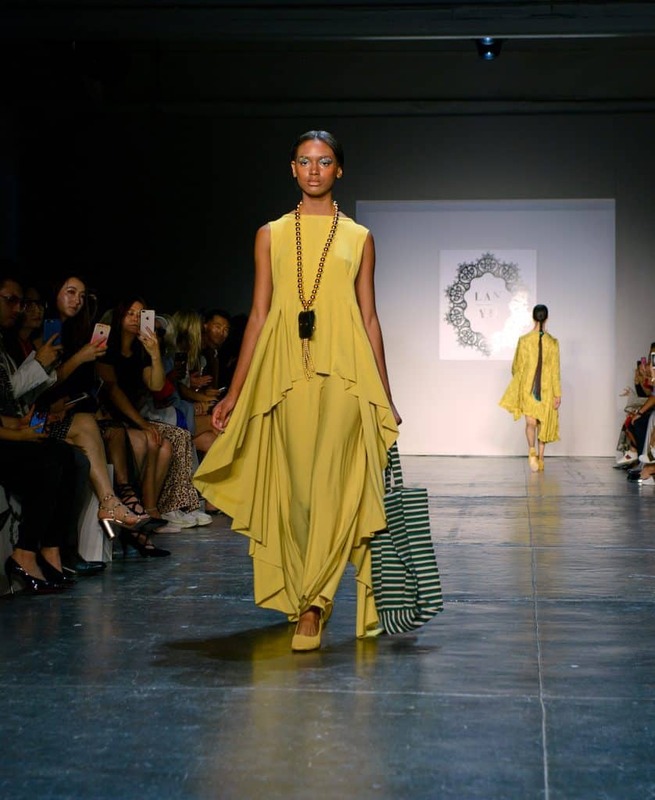 On September 6th Lanyu debuted her Spring/Summer 2019 collection and we were reminded once again why Lanyu continues to impress each season in New York. As the Show opened we were treated with a display of beautiful crafted white designs. The use of classic techniques that Lanyu is known for stood out with her intricate attention to detail. 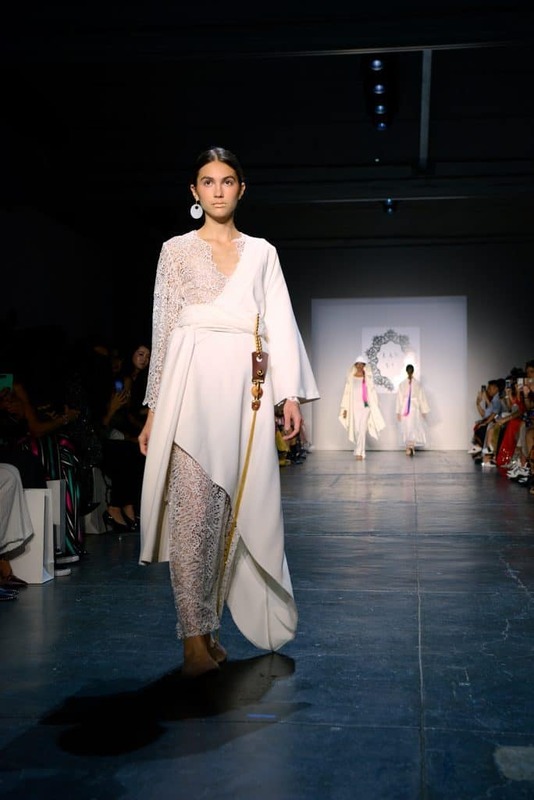 Taking in the heavenly display of flowing white dresses and capes all accented with sheer, sparkling embroidery, and small flecks of gold in the jewelry. Each model was styles with a long color in their hair tracing down their backs and flowing side to side with every stride down the runway. These little pops of color in a sea of white made the collection that much more unique. 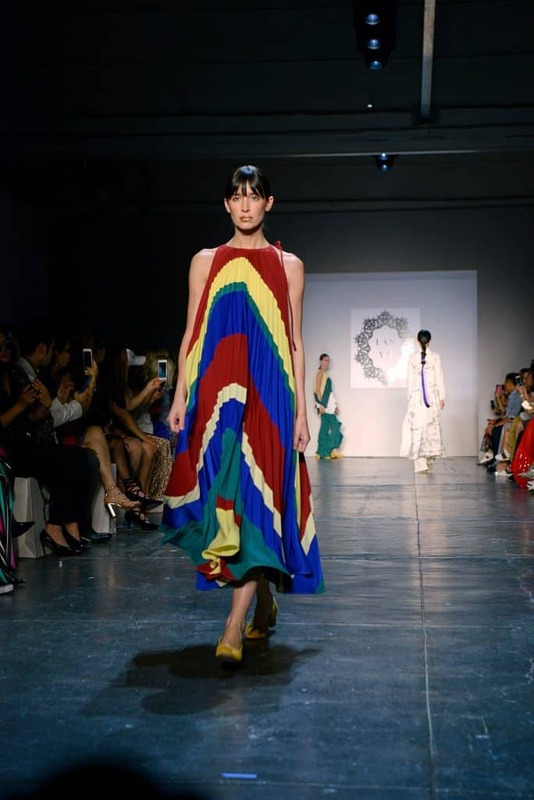 The color transitioned from hair to wardrobe as the next set of garments took the runway. Continuing with dresses came uniquely colored pieces draping down and flowing in a set perfect for those warmer spring/summer months. Outfits perfect for a night out or a day at the beach all in hues of yellow, pastel blues, navy blues, and greens. Finishing things off with a brilliant display of reds in many designs such as dresses, sweaters, jackets, and trousers. Lanyu debuts yet another unforgettable collection fit for your every need during the spring summer months. With autumn closing in this ready to wear collection is sure to get anyone excited for spring/summer 2019. 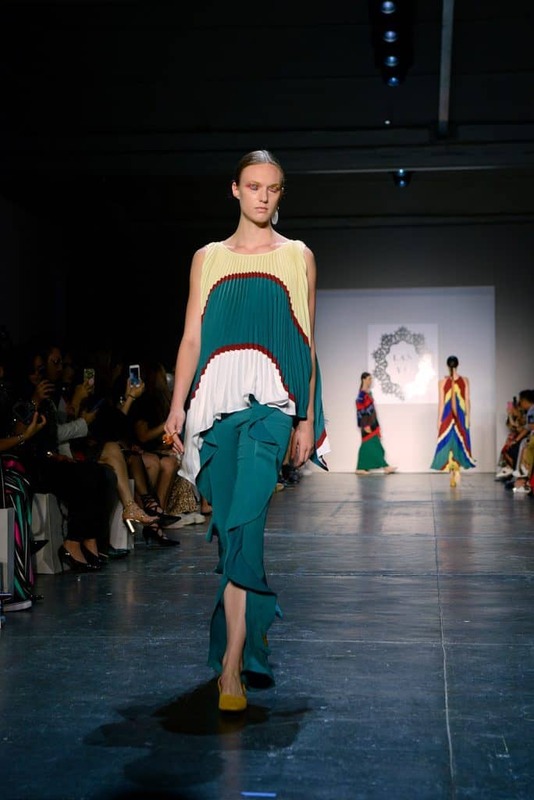 Lanyu only continues to grow with each season and each new collection. 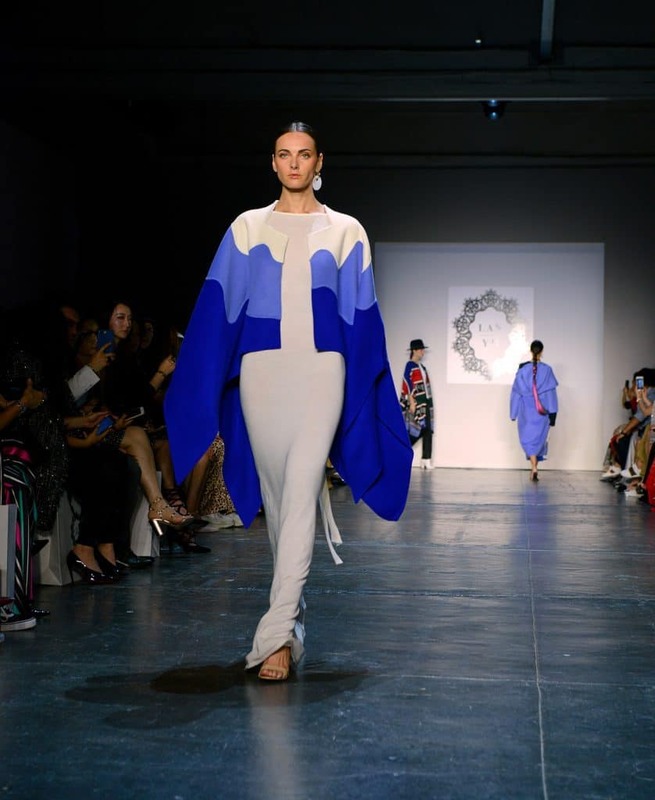 Spring/Summer 2019 is often a highlight in the craziness that is New York Fashion Week and this season Lanyu does not fail to deliver on a brilliant display of technique, luxury, and style. Be sure to take a closer look at the collection and get inspired to level up your wardrobe when spring and summer return!